We understand the text in order to communicate it. 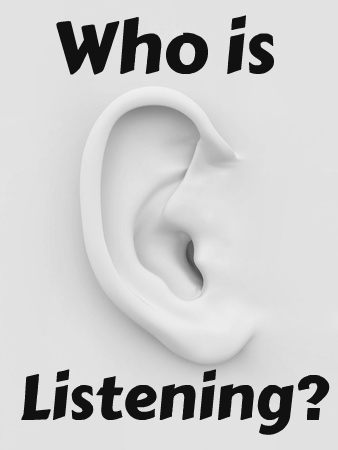 We understand the listener in order to target the message. Simple. Until we pause to ponder how complex a normal audience actually is. 3. Angels & 4. Demons. Not so sure what to do about these two, but we can’t ignore them completely. We know angels long to look into the wonder of the gospel, and we know from experience that the forces of evil hate the proclamation of God’s character and the good news of the gospel. But what do we do about it? I don’t suggest it is wise to target your preaching at either God’s ministering spirits sent to serve us who will inherit salvation. Nor do I think it is smart to start identifying and targeting particular spirits of whatever in your church congregation. Our ministry is profoundly spiritual, but we are not called to wage rhetorical war on the enemy of our souls. We are called to proclaim the gospel so that those blinded by the god of this age might be saved, and so that the body of Christ be built up. Perhaps where this spiritual awareness should stir us the most is in our prayer lives. When we preach as if it is about information clearly communicated to neutral listeners, then we are being utterly naive. We preach in the context of a spiritual battle over souls. Apart from Christ we can do nothing. We need to pray for the people listening, believers and not-yet-believers, and we need to pray for our preaching ministry to make an eternal mark. There is another listener, of course . . . tomorrow.